Uglyworld #2001 - Newers Scarfage - (Project Cinko Time - Image 206-365), a photo by www.bazpics.com on Flickr. Afters being in Chinas with the temperatures always betweens 35-40 degrees centimagrade durings the day, havings 28 degrees centimagrade heres in Germanies today feelereds so colds! 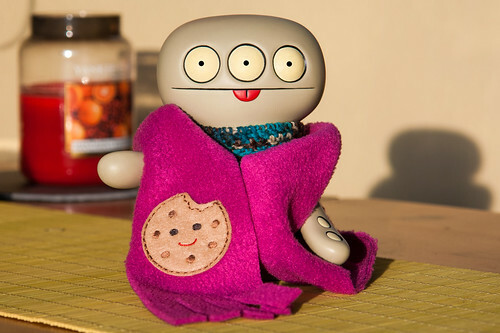 Luckilies, thanks to my gooders buddies Brandi and Jeero I had a newers scarfage waiterings on me from Uglycon, and boys oh boys does it helps to keepers me warm on these hotterish summer daysies in Germanys!